Winslow isn’t wasteful when it comes to food preparation. 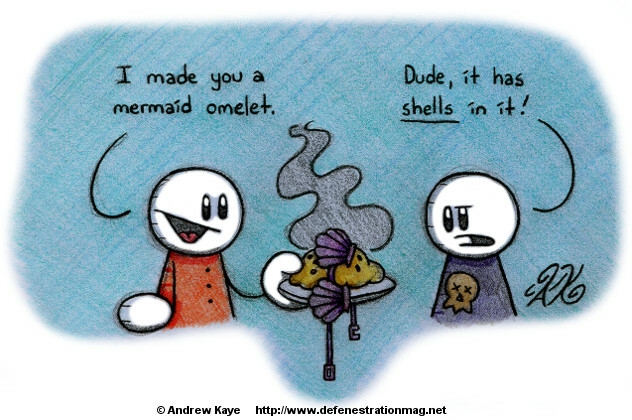 After squeezing the juice out of a mermaid for a refreshing glass of merm-ade (perfect for those hot summer days on the beach or wherever else good times are had), Winslow likes to take the leftovers and cook them into a nice omelet. They’re great for breakfast, lunch, and even dinner. But if you try this at home, please remember to remove the shells!